Pieces from the vast collections of Oxford Colleges, Libraries and Museums are often loaned to museums around the world. Here are some pieces you can see in North America. Please note that some loans are subject to change without notice, and that our office attempts to keep this information as accurate and up-to-date as possible. The Bodleian Libraries houses the largest collection of original Tolkien manuscripts and drawings in the world, and the Tolkien Archive has been kept at the Bodleian since 1979. In the summer of 2018 the Bodleian Library will hold a major exhibition to explore the full breadth of the creative genius of J.R.R. Tolkien; artist, poet, medievalist, philologist, and creator of Middle-earth. 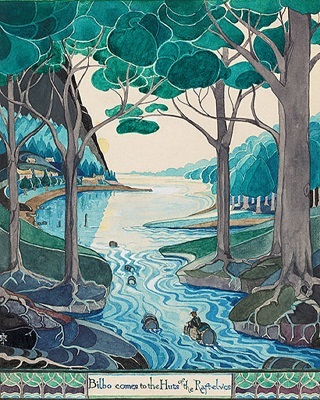 Original Tolkien paintings, drawings, sketches, and notes will be on display. 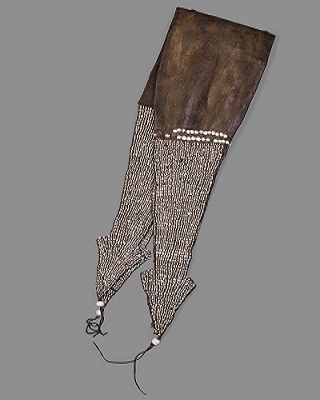 The majority of the items in this exhibition will then travel to the Morgan Library in New York for their exhibition which begins in January 2019. 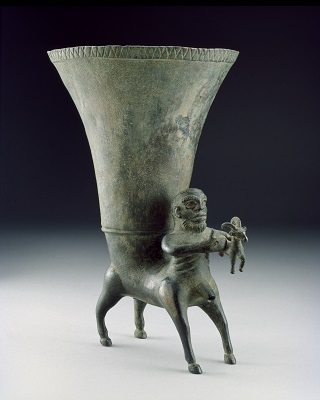 Animal-Shaped Vessels from the Ancient World: Feasting with Gods, Heroes, and Kings brings together nearly 60 elaborate vessels of animal shape from collections in the United States and Europe. While the songs, speeches, and prayers that enlivened ancient feasts are now largely lost to us, these vessels have survived, offering a glimpse into the rich symbolism and communal practices that found expression at these gatherings. Taking animal-shaped vessels as performative props in the multifaceted world of feasting, the exhibition not only introduces the social and ceremonial functions of these ritual occasions, but also highlights the essential and universal role played by food and drink—and by the highly imaginative containers used to enjoy these refreshments. Five objects from the Ashmolean will be on display in this exhibition. Featuring over fifty works from public and private collections across the world, Gainsborough’s Family Album will provide a unique insight into the private life and motivations of Thomas Gainsborough (1727–88), one of Britain’s greatest artists. The exhibition includes a number of works that have never been on public display in the UK and will bring together for the first time all twelve surviving portraits of Thomas Gainsborough’s daughters. Gainsborough’s Family Album charts Gainsborough’s career from youth to maturity, telling the story of an eighteenth-century provincial artist’s rise to metropolitan fame and fortune. 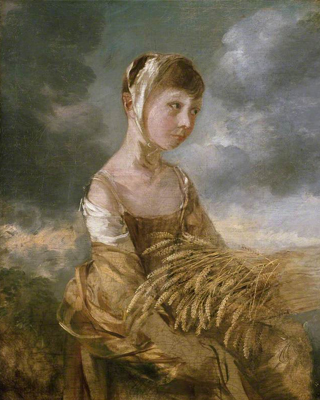 The exhibition will both offer a new perspective on Gainsborough the portraitist and challenge our thinking about his era and its relationship to our own. One object from the Ashmolean Museum will be on display in this exhibition. This Getty exhibition focuses for the first time on the bestiary, one of the great illuminated manuscript traditions of the Middle Ages, as well as its widespread influence on medieval art and culture. It will seek to reframe the bestiary as an art historical object in exceptionally visual terms. 35 of the world’s most celebrated bestiaries will be brought together, along with an array of other objects that reveal the genre’s influence. 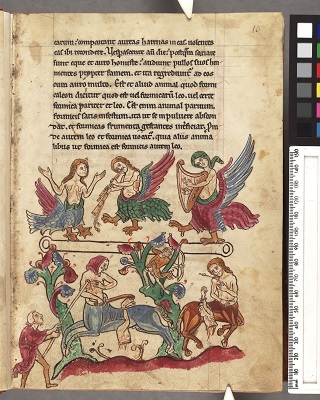 The Bodleian is lending six medieval bestiaries. This exhibition aims to present the wide range of artifacts unearthed at the ancient site of Herculaneum. They are to be displayed at the Getty Villa in Malibu, which was modelled after the Herculaneum site. The exhibition will present bronze and marble statuary, frescos, unopened papyri from the site, and recently excavated ivories. 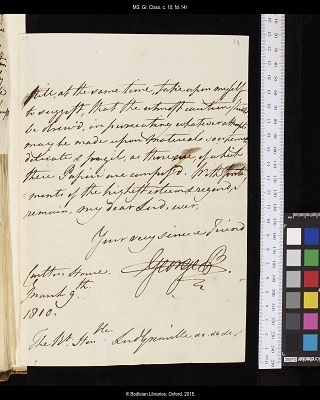 The Bodleian is lending a letter relating to the gift to Oxford University in 1810 by the Prince of Wales (afterwards King George IV) of a series of pencil transcripts (‘disegni’) of the papyrus rolls excavated at Herculaneum and opened and preserved at Naples, along with papers concerning the scholarly mission of Rev. John Hayter in Naples in 1801-6. Women have long been the creative force behind Native American art. Presented in close cooperation with top Native women artists and scholars, this first major exhibition of artwork by Native women celebrates the achievements of over 115 artists from the United States and Canada spanning over 1,000 years. Their triumphs—from pottery, textiles, and painting, to photographic portraits, to a gleaming El Camino—show astonishing innovation and technical mastery. Since the dawn of civilization, the moon has captivated cultures. To mark the 50th anniversary of the Apollo 11 lunar landing, The Moon: A Voyage Through Time explores our enduring fascination with this enchanting orb in the sky and looks at the role it has played in faith, science, and the arts across the Muslim world and beyond. Interactive devices, displays, and installations invite us to observe and imagine the moon in new ways. 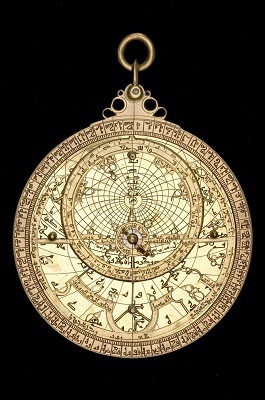 Four objects from the History of Science Museum will be on display in this exhibition.